Yuppie-Club singer Lee is presenting his first cover album as a solo artist, a disc full of cover songs of legendary and influential punk, death metal and grindcore bands. He hooked up with some renown musicians, so he was joined by Tom Angelripper (Sodom) and Andy Brings (ex-Sodom). At 10 tracks they honor the good ol' days of aggressive and brutal sounds, the time between 1984 and 1990. Mr. Lee choose some great tracks, stuff which was pure underground back then, but meanwhile these acts got some attention. You get tracks from Terrorizer, Master, Extreme Noise Terror, Godflesh and Napalm Death as well as covers of cult bands like Doom, Negative FX, Heresy and Unseen Terror. The charm of the tracks is supported by the mangy sound and it doesn't minimize the joy when they hit a wrong note. They stay close to the original, but Lee and his mates can't keep up with the legends - and it wasn't their goal. The album is their way to honor the underground bands of that time, the bands which didn't follow the trend and who influenced so many young bands and fans of extreme metal. You might ask, do we really need another cover album? It's impossible to top the originals, so why spend money on it? Well, at the end of the day it's up to you. But this CD is fun and if you return the voucher you get with the CD, then you'll get a cool T-shirt. 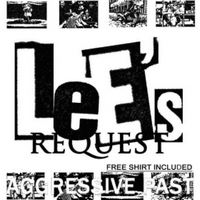 Some bands should take a leaf out of Lee's Request's book and with the free shirt you can overlook the short running tune. Long live the old school sound!